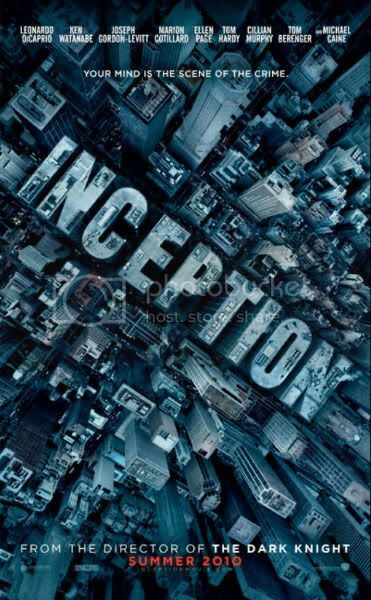 The idea for Inception came when he was in college, staying out late and crashing in his dormitory. Nolan slept so lightly he would become lucid — aware he was in a dream state — and began exploring ways to manipulate that faux reality. He would find himself on a beach and challenge himself to pick up a handful of sand and count out individual grains. "That, to me, suggests infinite creative potential for the human mind, and infinite levels of mystery," he says. "I would do something like take a book off the shelf and open it to see if I can read the page. And I can. The words will kind of make sense and there's this bizarre feedback, part of your brain that's creating just before you perceive it." I wonder if he inserted any references to Finnegans Wake in the movie. This post made me even more excited to see Inception! Sometimes in my dreams I can read books.